A small group of four from Act Out Now are off to visit the nonprofit Hospital Sisters Mission Outreach in Bedford Park, IL on Wednesday, February 13th. This outing is already full, as they could only accept a small group of us for this first visit. Future visits are in the works, though. 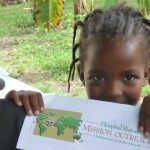 The Hospital Sisters Mission Outreach is a ministry of the Hospital Sisters of St. Francis. They are a 501(c)(3) not-for-profit organization that addresses the serious unmet medical needs of people in developing countries and promotes a more green-friendly environment through a medical recovery and responsible redistribution program. Surplus medical equipment and supplies are recovered primarily from hospitals, clinics, and major medical manufacturers in Illinois and Wisconsin. Upon request, these items are sent to healthcare providers in developing countries around the world. Mission Outreach has various onsite volunteer opportunities available for anyone 13 and older. 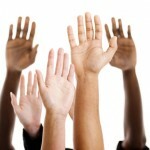 Volunteer opportunities include: sorting medical supplies, data entry, preparing shipments, etc. They do have a few sit-down jobs available. A medical background is not necessary to volunteer; however, if you do posses special medical skills and training please inform the volunteer associate prior to your volunteer experience as it can be beneficial. Act Out Now hopes to be working more closely with Mission Outreach after this first visit, including exploring ways for younger children to possibly get involved with this organization by working offsite preparing much needed hygiene kits. In the meantime if you’d like to get involved individually with Mission Outreach, you can lean more at mission-outreach.org.